For ages –Ultrasounds have been used for determining shape, size, and consistency of various internal structures. It is also considered a safe procedure to break up kidney stones. However, with the advancement of technology, ultrasounds are now also being used for cosmetic procedures. This innovation is breaking the mold of skin treatment methodology to provide safe, non-invasive procedures with long-lasting results. What Is Ultra Sound Therapy Facial? 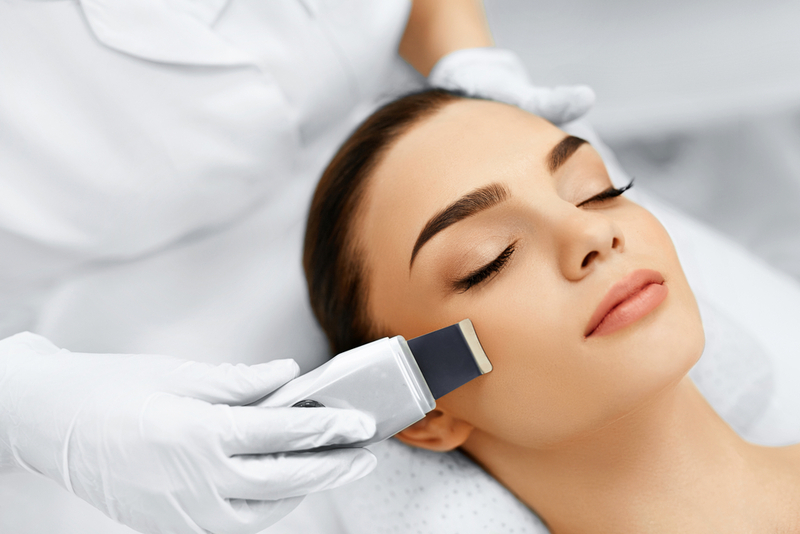 Ultrasound or Ultherapy is an advanced facial rejuvenating process that improves the condition of skin and body with minimal risk of scarring and infection. The non-invasive treatment is approved by the FDA and is now being used by different aesthetics to increase the production of collagen and lift the skin. If you are also suffering from aging skin conditions and are apprehensive about traditional methods such as Botox, plastic surgeries, lasers, and fillers – then you have come to the right place. The Ultrasound therapy is a safe procedure and is currently opted by many women around the world to reduce the signs of aging from their face and body. Read on to find out more about the procedure. The procedure uses similar technology that is used by physicians to examine a women’s baby during her pregnancy. The 30-60 minute treatment procedure involves the Ultherapy device that directs sound waves deep into the skin. Once the deepest layers of the skin are visualized, heat is gently directed towards them which in turn stimulate the skin’s natural ability to create new collagen. For those who are not aware, collagen is a protein that is responsible for keeping the body together. After a certain age, the collagen levels decrease resulting in sagging skin, wrinkles, and lack of moisture. However, with gradual treatment by Ultrasound therapy, collagen levels are increased which leads to healthy and youthful looking skin. To optimize the penetration, ultrasonic facial massager is used to generate cyclic sound waves. And for best results, conductive facial gel that is also optimized with skin-firming ingredients has been used that penetrates deeper into the skin. The Frequencies –the therapy is provided with the convenience of multiple treatment modes. Lower sound waves frequency penetrates deeper into skin, therefore, for 1 MHz id applied for body treatment where skin tissues are thicker while 3 MHz mode is designed to use for facial treatment. For eyes, the frequency is set to 5 MHz due to delicate skin tissues. Revitalizes skin –the therapy stimulates blood circulation that results in faster new skin cell generation. Exfoliation of dead skin cells –the Ultherapy not only enhances skin health but also gently removes dead skin cell so that the newer cells can breathe and bring the glow on to your skin. Enhances Skincare product performance –the therapy is well-known for enhancing the results of any skincare product application. Detoxifies skin –a tired, sunburned and ageing skin gets totally revived as the Ultrasonic therapy cleanses away toxins out of it during the process. Aids in Lymphatic Drainage –the therapy is well-accepted for its multiple benefits including the significant reduction of swelling, pain and tissue fibrosis. The results could be obtained after a set of revised sessions. Refines large pores –with age, the skin pores enlarges and tends to accumulate toxins. The ultrasonic therapy helps in refining large pores and provides better skin quality as a result. Tightens, tones and improves skin texture –the outclass results could be seen just after the first session. A skin that looks younger than its actual age. Treats multiple skin conditions –the ultrasound therapy fades away scars, age spots, freckles and clarifies acne with its deep penetration property. Improves Body Skin quality –the process helps in reducing the appearance of cellulites and fat deposits around problem areas. Ultrasound energy has been used in the medical field for more than 50 years. Ultherapy has also been claimed safe by the FDA and has been used safely by millions of women worldwide. With the procedure, there is no downtime and the clients are free to resume their normal activities after the procedure is completed. The length of the treatment varies greatly upon the area being treated. On an average, a facial procedure takes approximately 60 – 90 minutes while a treatment on the chest area takes around 30 minutes. Most patients require only one treatment procedure for beneficial results. However, because skin continues to age, touch up treatments are required to keep up with the natural aging process of the individual. Can Ultrasound be used for men? The ultrasound therapy seems to be an impressive remedy for aging skin as well as other skin and body conditions. Although, it might not be a replacement for plastic surgery – the Ultherapy helps reduce the aging signs and works as a protecting agent for young adults who wish to use it as a preventive measure. 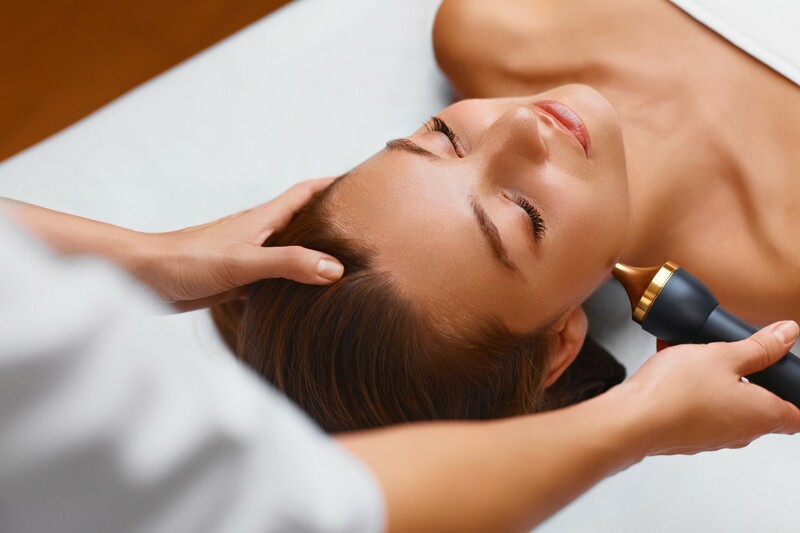 Anna Esthetics, the spa service in Tampa Bay area provides Ultrasound Therapy with its signature advanced technology.